Luxurorious furnishings, within a refined 17th century setting, all right in the centre of the old town. The hotels restaurant, Vieille Ville, has become a buzzing Genevan institution, famed for its fondue, raclette and Schübling. Private parking is possible at a location nearby (reservation is not needed) and costs CHF 40 per day. Classic French gourmet cuisine. In the cellar the Carnotzet offers cheese specialities including Raclette and Fondue. Children of all ages welcome. Babysitting services are available. The iconic on site cafe is a popular spot among locals for meeting up with friends and people spotting. 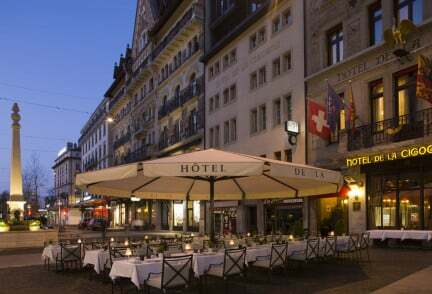 Highlights of Geneva's nightlife are their famed opera houses and theatres. Just down the road is the lovely lake-front promenade, perfect for an afternoon stroll. The main shopping district is merely a 10-minute walk away. Across the road from the iconic St. Pierre Cathedral. 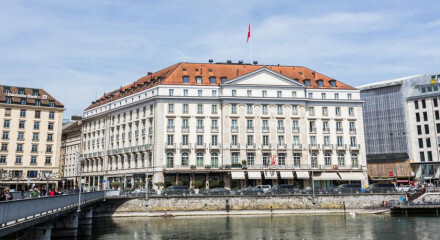 “A unique luxury hotel located in the heart of Geneva’s old town, the Hotel-Restaurant ‘Les Armures’ is a magnificent 17 th century residence situated 5 minutes from the lake, local shops and the business district. 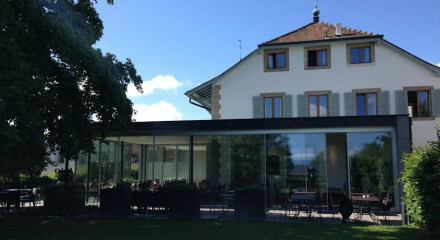 Its restaurant with a terrace serves typical Swiss and French specialities in a homely setting. 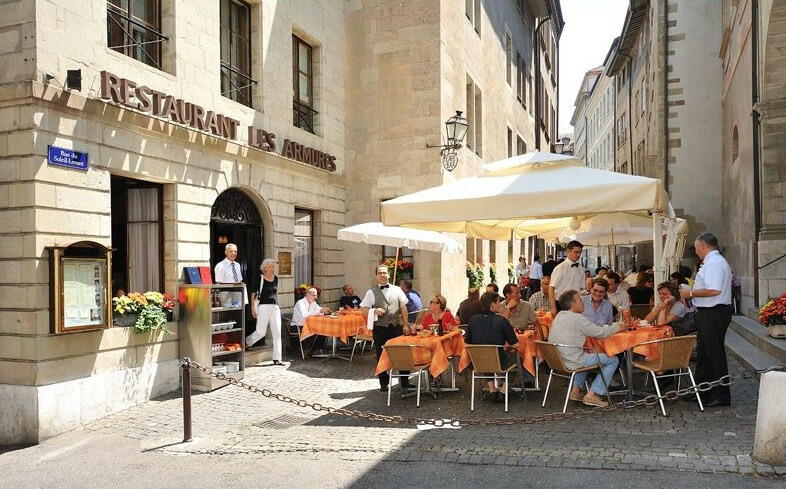 Café Les Armures is a city landmark and Geneva's oldest coffee house.